Joining the cult of Razer has never been inexpensive, but that hasn’t stopped it becoming a truly dominant force when it comes to peripherals, esports, and gaming. Nonetheless, the firm has recently ventured into manufacturing products specifically with an eye on wallet-conscious buyers, and the Abysuss Essential mouse – by Razer’s reckoning at least – is one such product. Others include the Goliathus Chroma soft-cloth RGB mousepad and the Cynosa Chroma keyboard. Described by Razer itself as a ‘no-frills’ product, the Abyssus Essential still carries a £50 price tag, so it seems Razer’s budget offering will still be considerably more expensive than those of its competitors. Incredibly, that £50 gets you a grand total of just three buttons – right, left, and scroll wheel. There is no DPI switcher and not even any back/forward toggles, which is a cardinal sin if you ask us. With no side buttons to contend with, the Abyssus Essential continues the trend of previous Abyssus mice by being ambidextrous. Typically, such mice aren’t overly comfortable, and that’s indeed the case here, with the contoured main buttons being the only real nod towards an ergonomic design. The low profile means it’s not very hand filling, so a claw grip is probably best, but even then it takes some adjusting to, and you aren’t treated to any rubber sides – the body here is simply matt plastic all over. The Abyssus Essential does at least have two large Teflon feet for smooth gliding, but this is standard amongst gaming mice now. The click action of the two main buttons, which sit on top of Omron switches rated to 10 million clicks, is snappy and pleasant, but they aren’t detached from the main body. The action of the scroll wheel is fine too, both when clicking and scrolling. It’s a little lower than I’m used to, but the rubber surface has plenty of grip and the notches are felt easily enough. The rubberised cable is very flexible, and I didn’t experience any issues with drag. The sensor is a 7,200 DPI optical model that I believe is a variant of the PixArt PMW 3330. This is a high DPI count, but this number means less and less these days. Thankfully, the sensor quality is good, as I only experienced smooth, accurate tracking in what I’d consider a normal DPI range (1,000 – 5,000); above this, there’s a tiny amount of jitter, but this could easily be down to imperfections in the surface. I detected no angle-snapping or acceleration/deceleration. The cutoff point for lift-off distance is equivalent to two CDs, which I’d class as average. The Abyssus Essential has Chroma RGB lighting support, specifically for the triple-headed snake logo and on the underside, producing and admittedly nice underglow effect not found on other Razer mice. The lighting quality is high in terms of brightness and consistency. The functionality of the mouse can be customised through Synapse 3, but with so few hardware features, this feels a little silly. In fairness, Synapse 3 is very slick, but it is also very clearly designed with more complex products in mind. For example, the button customisation screen lets you set an impressive wide range of custom commands for each button (scroll up/down can also be customised), but with only three buttons you can’t do this without sacrificing core functions. You do have the ability to assign custom profiles that become active only when certain games launch, but even then your options will be pretty limited. Finally, each command has a secondary function available via HyperShift, but the catch is you need to assign a button to be used as the HyperShift toggle – since your options on the mouse are so few, your only other option is to assign the toggle to a button on a keyboard, which forces you to buy another Razer product and still isn’t ideal during gameplay. You can also tune the DPI level in five stages and in increments of 100 DPI, but again without an easy way to switch DPI, is there really much point? The best solution we could come up with was using the scroll click as a DPI cycle button, but this again is far from optimal. 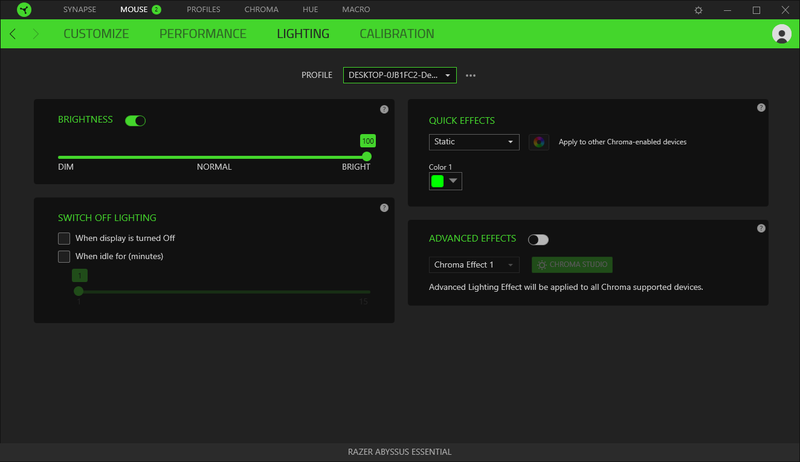 Lastly, you have the option to tune the Chroma lighting, with the main effects being static, breathing, reactive, or rainbow mode (spectrum cycling). You also have access to a more complex advanced menu if you so desire. The shape of this mouse isn’t to my personal taste, and it doesn’t implement any features particularly poorly – the clickers are pleasant to use, the sensor works fine, the lighting is pleasant, and the software is a breeze. The main issue, though, is that this is a £50 three-button mouse. Sure, it’s spruced up with nice RGB lighting and a smidgen of button customisation, but that’s simply not enough to save it. 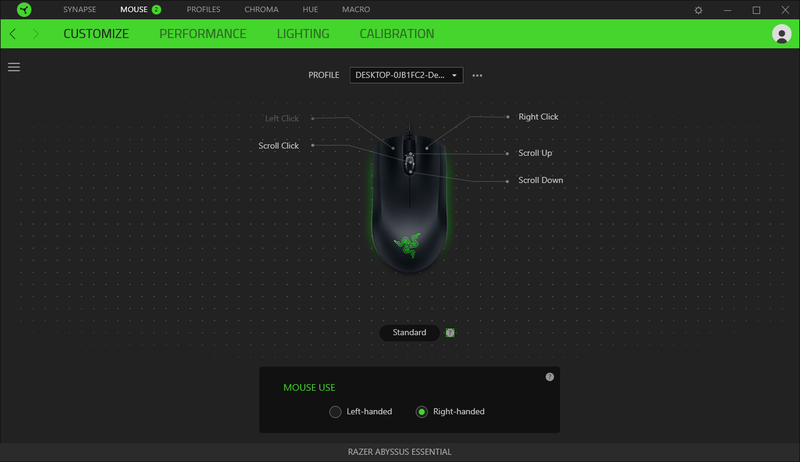 Even Razer’s own product catalogue makes this look bad, but beyond that there are numerous mice with decent sensors and more buttons at the £30 mark and considerably better options for £50. 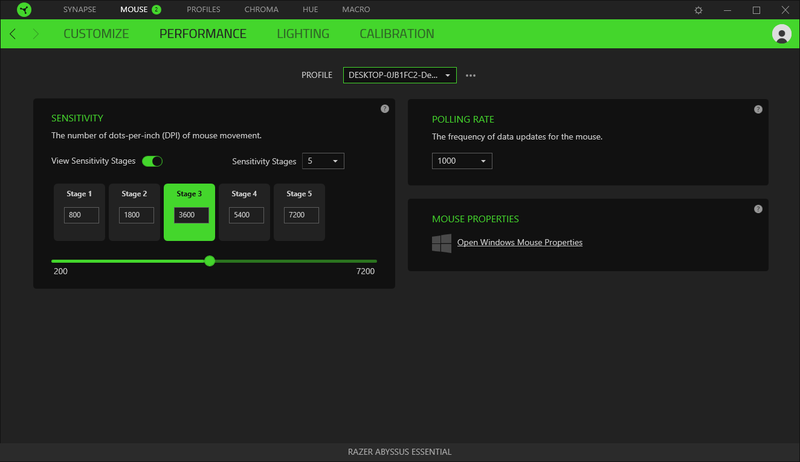 They may not have the Razer edge (sorry) in terms of software support, but Synapse 3 is mostly wasted on a mouse that’s so hampered hardware wise. I’m a fan of many Razer mice, but sadly the only thing that's essential here is steering clear.